Richard G. Duplantier, Jr. is one of Galloway’s senior partners and a respected trial lawyer engaged in a general commercial litigation practice and more specifically in products liability, construction, environmental and all facets of professional liability, including medical, accounting, and legal malpractice defense. Rick’s varied practice further involves general insurance defense and coverage litigation. Rick’s experience also includes the immediate response, assessment and defense of catastrophic incidents and explosions. Rick has an extensive history of trials to verdict, with a trial success rate of over eighty percent. In addition to his litigation practice, Rick has also represented numerous clients in the entertainment business in litigation and in the areas of contracts, trademark, residuals, and other general entertainment law practice concerns. He has handled and resolved matters for promoters, record labels, production companies and individual performers and their representatives, both in the United States and Europe. For many years, Rick has conducted seminars around the country with a focus on risk management, in effort to educate, heighten awareness, and assist clients in avoiding malpractice pitfalls. As a consultant in the business arena, Rick has assisted clients in the initial creation and implementation of business development and strategic planning. Rick received an undergraduate degree in communications and political science from Marquette University and a law degree from Loyola University, New Orleans where he was the Managing Editor of the Loyola Law Review, a member of the Moot Court Team, and elected to represent the Loyola Law School at the American Bar Association. From 1991 to 1996, Rick was a member of the National Board of Editors for the Federal Bar & News Journal. In 2008, Rick was selected by City Business magazine as one of the Leaders in Law in the state of Louisiana. Rick currently serves as the Managing Partner of Galloway’s New Orleans office. 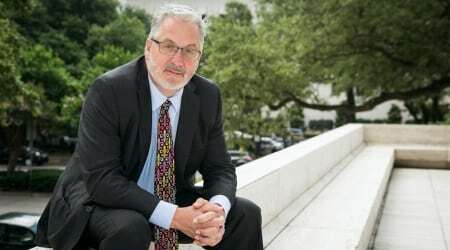 For over twelve years, Rick served on the Board of Directors of the ASI Federal Credit Union, volunteering his time and energy to reinvigorate the New Orleans community in the aftermath of Hurricane Katrina, and giving families an economic lift as they persevered through their personal and professional hardships. He has volunteered with the Beacon of Hope in efforts to fight blight in New Orleans and rebuild the communities hardest hit by the flood. Currently, he is a member of the National Legal Industry Council of the NGLCC and is President of the Gulf South Chamber, the New Orleans regional affiliate of the NGLCC.